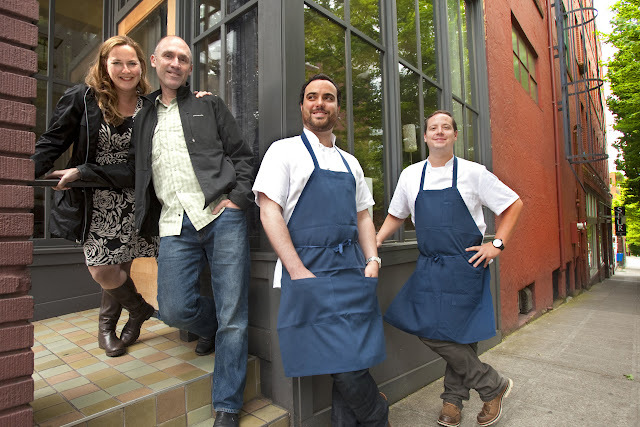 When Scott and Heather Staples opened Restaurant Zoe in September 2000, Belltown was a-boom with exciting new bistros. Flying Fish held down the corner of First and Bell, Brasa (now gone) was in its infancy, neighborhoods like Pike/Pine and South Lake Union were the merest glint in developers’ eyes. It would be eight years before Brian McCracken and Dana Tough — the young comers behind the cocktail-centric Spur Gastropub — would dig their heels into the ‘hood. Zoe became an instant classic, and its success begot two siblings: Pike/Pine’s popular Quinn’s Pub and Fremont newcomer Uneeda Burger. Meanwhile, Spur, down the block from Zoe at 113 Blanchard St., spawned a second innovative drinks-stop, Pike/Pine’s Tavern Law. Now, Zoe’s moving out, and the Spur chefs are moving in — with a new venture that should complement, not compete with, their first. Although the ink’s not quite dry on the dual deal, they’re “99 percent there,” Tough said. 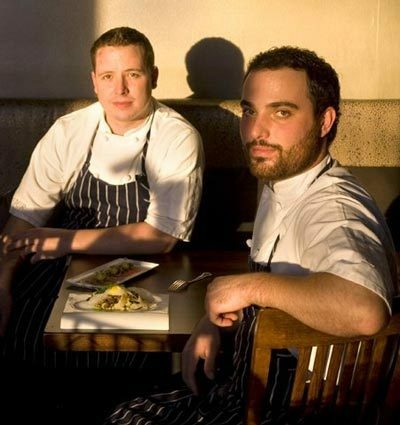 “We’re closing our doors in Belltown on July 23,” Scott Staples confirmed. He’s leased space at the new Oola Distillery building at 14th and Union. You may remember the place as the former Capitol Hill bakery/cafe La Panzanella. “We’re adjusting to the new norm,” said Staples, referring to the continued recession, and the flight or closure of one too many high-profile restaurants. “Our location has started to affect our business, and we feel it’s time to hit the refresh button, to reposition Zoe” — both literally and figuratively. “We could spend $100,000 on a face-lift, or we can spend it on a move.” He and his wife chose the latter. “I’d rather have a smaller space, pay less rent, less for utilities and have people hanging out the door,” Staples said. Something he expects to pull off on Capitol Hill. The new Zoe will be flanked by the distillery and a small Chinese restaurant, Lucky 8 (expected to open — with delivery service! — next fall). Expect something more intimate than the original Zoe, Staples said, with 50 seats in the dining room and bar. An outdoor patio and private events space also are part of the blueprint for the relocated restaurant, slated for a late 2011 opening. “We plan to ease back into our urban-bistro roots, reinterpreted in a new space and for a new decade,” said the chef, whose staff will translate their skills to Capitol Hill. Oola Distillery — now in its final stages of construction at 1314 E. Union, is expected to open in July. The windows visible in this photo will be part of the new Zoe, slated to open before the end of the year. This should be some rocking corner: Skillet Diner and Marjorie are just across the street in the Chloe complex, seen towering above Oola. Meanwhile, the original Zoe at Second and Blanchard is expected to be in the hands of McCracken and Tough when the Staples turn over their keys August 1. What the Spur boys will do with the space remains to be seen. Rumormongers are talking pizza and burgers, but McCracken won’t crack on the subject — for now. Tough wasn’t so tough. “Brian and I totally understand why a restaurant should have a burger on the menu, but as far as that being the focus, that’s definitely not the direction we want to go in,” he said, adding they hope to be open for business next fall. Both insist: Their as-yet-unnamed restaurant will be just that — a restaurant. One that will be a far grander showcase for their kitchen prowess and less invested in advancing Seattle’s cocktail culture than the fabulous Spur and Tavern Law.